Lip balm galore – 48 tubes in four scents! 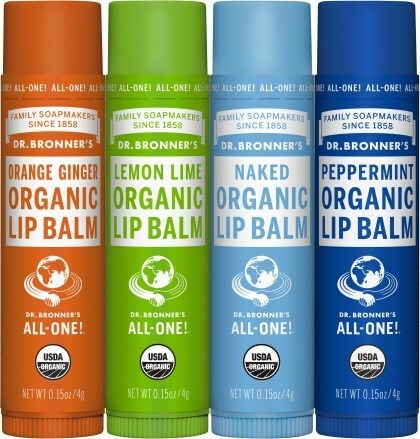 Try all of Dr Bronner’s great beeswax-based lip balms - or stock up on gifts for friends and coworkers! You get 12 each of Lemon Lime, Naked, Orange Ginger and Peppermint, all made with moisturising oils of avocado, jojoba, and hemp seed and scented with real essential oils.